Peace is summom bonum in the world today. This is because everything positive can only be achieved in an atmosphere of peace. So why is Islam being associated with violence in the world today? This is a question on the minds of many people. At the Islam and Peace Project we thought of conducting researches to find the true perspective of Islam on peace and related issues. 1. To conduct researches on various aspects of Islam. 2. To publish the interim and conclusive findings of the research/s. 3. To share and disseminate the interim and conclusive findings with others. 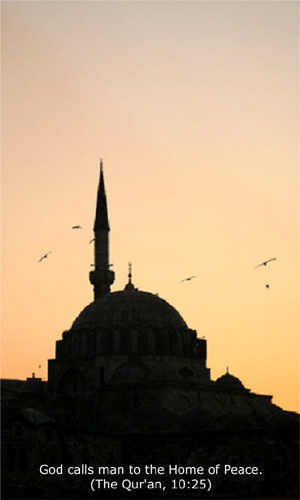 The project is conducting researches on Islam, peace and modernity. Researchers (under the guidance of Scholars) are using the primary sources - the Quran, the word of God that has been preserved in Arabic for all eternity; the Sunnah of the Prophet of Islam; the Seerah that has been historically documented; and the lives of the Companions of the Prophet of Islam - to conduct researches to find the true perspective of Islam on different aspects. These are being supplemented with quantitative methods such as surveys to arrive at findings. The interim and conclusive findings are being published in the form of leaftlets, booklets, books, thesis, mp3s, etc. and then being disseminated through interactions and multimedia. The Islam and Peace Project is being conducted with the support of CPS International, a non-profit, non-political and non-governmental organization that presents Islam in the modern idiom. It was established in January 2001 at New Delhi under the patronage of the founder, Maulana Wahiduddin Khan a well-renowned Islamic scholar. The backing of the organization will help to disseminate the findings of the researches to a wider audience. The project organisers would like to earnestly thank the Vice Chancellor; Senior Administrators; and Faculty of Islamic Studies and Social Sciences, Jamia Hamdard, New Delhi for making this project possible. For more information on the project or to join us contact us through the adjacent form or write to us at info@islamandpeace.org.